When I first came to China 20 years ago fresh from an MA TESOL program, I taught—with some pride—in a fully Western (facilitative, activities-based) way. I even gave workshops on facilitative methods and taught demonstration lessons in middle and high schools. As I think back now, I’m thankful for the grace shown by my Chinese colleagues in the face of what came across, I’m sure, as a judgmental attitude. Ten years later after a second stint in graduate school, I returned to China where I began with 2 years of Chinese language study. When I finally made it back into the classroom, I found myself swinging away, to some extent, from facilitative approaches. In every lesson, I would start with what my students were comfortable with—lecture, and work my way toward activities that asked them to analyze or apply and sometimes evaluate or create ideas and understandings. This pendulum swing was partly influenced by my time as a student in a Chinese classroom but also by the courses I was teaching. I’m not sure how much my students learned about intercultural communication and pragmatics, but the lessons I learned were invaluable as I asked them to analyze cultural mistakes in my interactions with students, colleagues, and department heads. Ten years later again, and I find my personal pendulum oscillating back toward the facilitative side. I’m now teaching courses in my field (TESOL), and my lecture-to-activities approach hasn’t worked. In trying to be respectful of my students’ ideas, I’ve left them with the sense that facilitative methods won’t work in their context. Since they’re graduate students and future teachers, I’ve become convicted that I need to push them beyond their deeply held beliefs if only to force them to articulate a clear rationale for persisting in them. I don’t do much lecturing at all these days. The most important lesson I’ve learned from these vacillations is that I don’t have all the answers and never will. Not even in my area of expertise. In fact, no one does…except Yahweh. That’s what this blog is about. Whether we need knowledge about methods, managing a class, or dealing with a problem student, the Master Teacher has the answers. If we’re trying to figure out how to work (and live) as a follower in a professional setting or an unwelcoming world, the Author of all wisdom can guide us. As we write and you read about teaching and navigating the professional realm, remember that even when we act like we know what we’re talking about, we don’t. 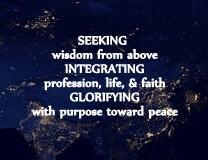 Instead (and feel free to remind us), as we attempt to integrate profession with life and faith, we’re seeking wisdom from above and hoping to exercise it in Yahweh-honoring ways. Join us two weeks from today (and most Wednesdays) for more on seeking, integrating, and glorifying. We’ll start by talking about Yahweh’s wisdom. Although we have some ideas about where to go after that, we’re committed to keeping our ears and eyes open. And we’re anticipating your perspectives to reveal wisdom that points us different directions. How has your teaching changed over the years, and why? In what areas and ways are you seeking wisdom from above? Thanks, Melissa, for prompting me to think about how my teaching methods have changed over the years and for reminding us to listen to the Source of all wisdom. I am constantly trying to find a balance between methods that our students are comfortable with and methods that will push them to think in new ways. Another challenge my foreign co-teacher and I are facing is that when we do lecture, our students have difficulty taking notes. They seem to assume that everything we say will be straight from the textbook. We are experimenting with different ways of helping them learn to take notes during our lectures. This post conjures up many memories from my most recent experiences in education: In Asia as an English teacher, in Asia as a learner of Chinese, and in the States in public school as a teacher of Mandarin. I have changed much as a teacher. Each experience has helped me add more to the classroom, mixing methods I've found to be effective as either a student or as a teacher. In some cases, these methods are traditional or “old-school.” In other cases, they are more creative or, more recently, based on popular technology, such as social media. I suppose, in essence, I feel my tool box has grown with each experience. It continues to grow, layer upon layer, as I am exposed to more and as my students change. I am also a special education teacher. My training in this area has helped me to see students more as individuals who each have different needs and learning styles. I try to use a mix of approaches to promote mastery of content for each student from different angles. In public school, I sometimes forget to return to the Source for guidance. I can get into “autopilot” mode and prioritize education, personal growth (for my students), and task completion above all else. From time to time, the Teacher has to remind me, often by sharing students' personal heartbreaking stories with me, that the goal is not education, but people, love, and the transformation of hearts. I am nothing as a teacher without the Teacher. I like your next to last sentence. It's a good reminder to me that the individuals in my classrooms aren't just students. They're also human beings. And the human beings in one of my classes this semester need some extra encouragement. Some of them are really struggling to “get it,” and I’m not necessarily responding with patience. I just lifted them up (and my attitude)…and then sent them a message of encouragement, Chinese style, of course. 🙂 Thanks Julie! Another Julie weighing in here, agreeing with what the first Julie said. Sometimes I wonder, at the end of the day, what my students will really remember from my classes… the content or the way that I taught it? Both, I hope, but if they're going to remember that I helped them discriminate between /p/ and /b/, I hope they'll remember that I smiled with every correction or word of encouragement, and that I worked hard to learn their names… and that I loved them and listened to them–the spoken words and the hearts alike. Methods and materials may change, but Love never changes. Kim's Ears to Hear post reminds me of the dichotomies we live under–sinner and saint, grace and truth, judgment and mercy. Thanks, Beth, for the reminder of Love interspersed throughout some tough to hear passages about the ugliness of sin. May I ever have a broken and contrite heart while fixing my eyes on the One who remembers we are but dust! 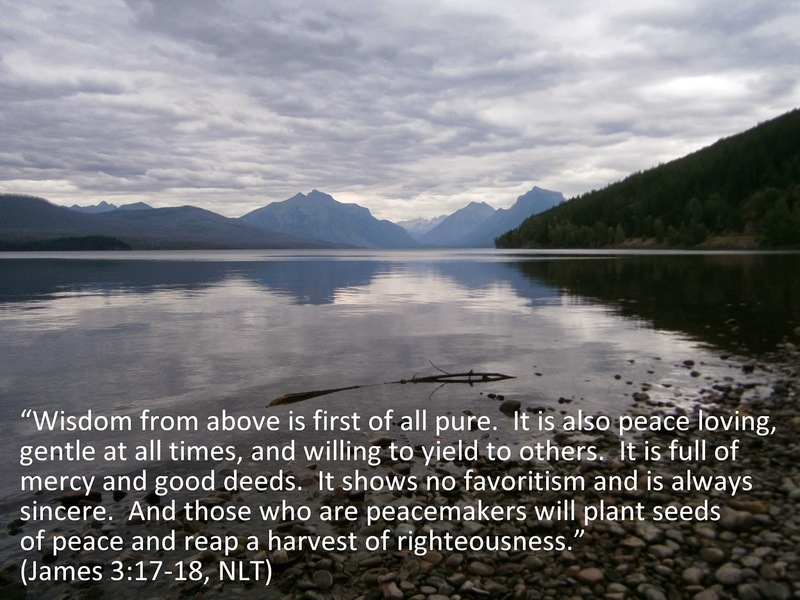 This entry was posted on April 2, 2014 by LEAPAsia in blog introduction, Melissa K. Smith, Yahweh's wisdom.